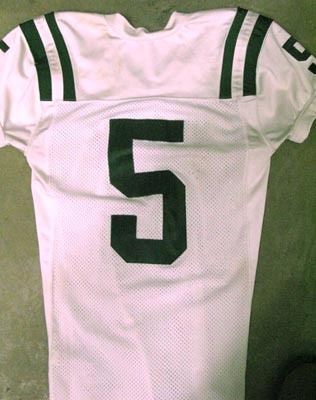 Jerseys like these were stolen from Konawaena High School. On May 25, 2009 Kona patrol officers responded to a reported burglary of the Konawaena High School locker room. 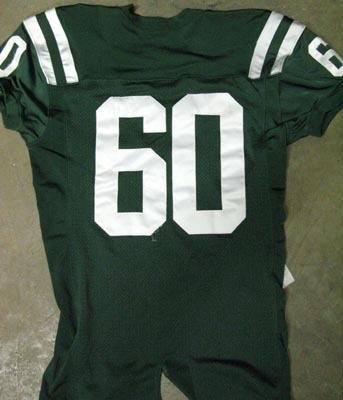 Unknown persons broke into the locker room and removed approximately 100 green-and-white football jerseys valued at $8,000. Police ask that anyone with information on this case call Detective Scott Kurashige at 326-4646, extension 265, or the Police Department’s non-emergency line at 935-3311. Tipsters who prefer to remain anonymous may call Crime Stoppers at 961-8300 in Hilo or 329-8181 in Kona. All Crime Stoppers information is kept confidential.